Ok, the Daily Mail isn’t my favourite newspaper and this is one topic that will always be close to my heart (and the blog). That aside, a friend showed me an article from today on page 15. In a nutshell, it is talking about the prevalence of children in our society who are affected at varying degrees by Foetal Alcohol Syndrome, or Foetal Alcohol Spectrum Disorder which is milder but still affects day-to-day living. They estimate about 1% of our children suffer from Foetal Alcohol to some extent, but that it really is the tip of the iceberg. 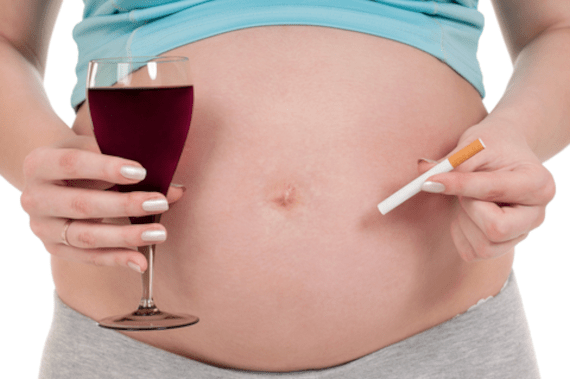 It’s a fairly responsible article and explains how drinking alcohol is pregnancy can have far more lasting effects than smoking. FAS or Foetal Alcohol Syndrome is the biggest cause of mental health problems and retardation in kids today. Not all children with FAS will develop retardation, and many may show up as behavioural problems. Those with the associated issues that are outside of the main FAS diagnosis tend to be missed or diagnosed with something else. – Difficulty in understanding concepts. May learn to read & write easily, but struggle with comprehension of what it is all about. – Generalisations, ie thinking of things in terms of black and white and often taking what is said literally. – Shot term memory problems, ie ability to learn, but forgets very quickly and has to keep being reminded how to do things. – Schools may think these children are just being lazy. – Sugar cravings. Many parents of FASD children have noticed that their children seem to be addicted to sugary sweet foods. – Conscience could be underdeveloped so may steal and lie without fear or consequence. – Finds difficulty coping with new situations. – May over-react to small changes in a daily routine. – Seems more immature than their age in years. – ADHD and ODD type behaviours which may not respond to traditional ADHD methods of management. There’s nothing to be ashamed about in recognising what a child’s difficulties may have been caused by, so if you suspect it, get it checked. It’s not easy to get diagnosed locally, and there are places to help. To finish, all I can say is, that for the sake of your future children, if you are pregnant, are trying to get pregnant, or think you might be, don’t drink alcohol – AT ALL. It’s the only sure-fire way to ensure your children can have the best mental health start that they can, without the possibility of any Alcohol related brain damage. Foetal Alcohol destroys lives. Don’t let it get into your family. « The potential of obese or unhealthy to be punished by benefit cuts. Scary post but an important one, thanks for writing it. I remember lots of doctors and other professionals talking down the risks of drinking during pregnancy but you’re quite right, the consequences can be huge. Thanks Sally, I suspect my comments have done a disappearing act as I thought I had replied to all of these already. People just don’t seem to consider the consequences and are prepared to take the risk. Alcohol is worse than other toxins as alcohol goes straight through the placenta unfiltered which is scary to me as the body thinks it is vitamin D. I suspect most people just don’t realise that. Mmmm, interesting topic. I had the odd drink when pregnant with both my children and there has been no adverse affect. I am not talking loads of alcohol and certainly not on a regular basis but I did have the odd drink on special occasions. My 4 year old son is very bright and has never been really badly behaved. I know people who’s mum’s haven’t had any alcohol at all and their children are incredibly badly behaved. I agree that excessive alcohol whilst pregnant is irresponsible and adversely affects your child but I think the odd drink here and there is probably not going to do much harm. I think there is too much conflicting advice on the subject, one minute you are told not to touch alcohol at all and the next you are told a certain amount is OK, very confusing! Hi Tami, There is a difference between just badly behaved kids and those who are badly behaved because they have an issue that has affected their memory. It can be hard to tell which way a child has gone. None of us can say that one drink or one hundred might make a difference, because nobody really knows. The only sure fire way to know is not to drink alcohol. Saying that, most people who do drink alcohol when they know they are pregnant just don’t care enough I think. I think it’s really unfair to say people who drink alcohol when pregnant ‘don’t care enough’. I cared very much when pregnant, obviously, that I didn’t want to harm my baby, but the current NHS guidelines say if you are going to drink alcohol then you should drink no more than 1-2 units a week (after the first 3 months) which is all I am talking about. I agreed with you that excessive alcohol will obviously do harm to your baby but, if having the odd drink here and there was so harmful you would be told to abstain from alcohol completely. Also, what about people that have a drink problem. I’m sure some of them do ‘care’ but they find it difficult to give up. I wish I was ‘perfect’ but who is? I have two very healthy, beautiful children and I am not going to feel guilty about having the odd drink on a special occasion whilst pregnant. I care about babies in the bellies of women drinking alcohol, who even if affected, will probably be diagnosed with something else. The only sure thing is that no baby FAS baby was ever born to a mother who drank no alcohol. I’m sure most parents will try to keep it down with a glass now and again, but many will drink far more. I’m not asking anyone to feel guilty. I’m just asking them not to drink in their next pregnancy if they can help it. It’s my opinion, like having a few glasses is fine in yours. I’d have been the same opinion as you before adopting my boys. I’m not knocking doing it, but I recognise how uninformed I was then and I know I’d have told myself it would be fine. And for most, it is fine. For the ones that it isn’t, it’s devastating. Living with someone else’s alcohol affected child means I don’t think the risk is worth it. I think more informatio should be ‘told’ to pregnant women about the effects of alcohol. It’s all well and good getting a leaflet but not everyone will read it. I did research the effects and weighed up the risks but I had willpower to only have the odd glass here and there, I agree that you can abstain, after all its only 9 months of your life but I chose to have the odd drink. I did take offense to your comment that everyone who drinks does not care but then I can understand why you feel like this. It would be a boring world if we were all the same and couldn’t Express put own opinions!